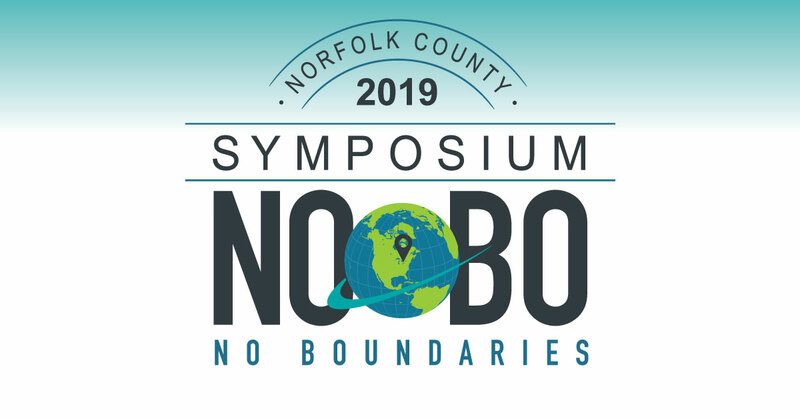 Norfolk County celebrated the successes of several local entrepreneurs at its annual Economic Development Symposium, with the theme of “Norfolk: No Boundaries”, yesterday. Kieran Gubesch was named the Jerry Sucharyna Memorial Student Start Up Business of the Year. His company, Gube’s Cubes, targets cottagers and campers seeking ice as they drive to their lakeshore destinations. Honourable mentions were Lily Van Den Hurk-Cooke and Hayden Miller Cluckie. All three students participated in the Norfolk County Student Start Up Program (SSUP), conceived and coordinated by the late Jerry Sucharyna, an employee of Norfolk County who died last fall. “It was Jerry who brought the SSUP concept with him from British Columbia,” said Chris Garwood, Economic Development Supervisor for Norfolk County. “Jerry had a passion for the youth and for youth entrepreneurship.” One of Jerry’s sons, Spencer Sucharyna, was present to hand the award to the winner. Kathryn Dickson was named Travel Writer of the Year, sponsored by Norfolk County, for her story Family Friendly Fun in Norfolk County. Long Point Island Hugger Tours received the Sustainable Tourism Award from the Long Point World Biosphere Reserve Foundation. Erie Beach Hotel received the Wine Excellence Award from Ontario’s South Coast Wineries & Growers Association. Hosts for the Symposium were Amelie Chanda and Jason Mayo, Norfolk County’s Live Broadcast Ambassadors. Norfolk County recently received an honourable mention for the Live Broadcast Ambassador program in the Technology and New Media category of the Economic Developers Council of Ontario Awards of Excellence competition. New to the Symposium this year was the Made in Norfolk Showcase, which highlighted several local products manufactured or processed in Norfolk County. Also, a world map indicating Norfolk County exporting internationally was also featured. More than 250 people attended the event, which has been organized annually for more than a decade by Norfolk County Tourism and Economic Development staff, supported by sponsors. Brian Williams, Kindness Ninja, was the keynote speaker for the event. Other speakers included Mike Fredericks of Annex Business Media, Christine Dainard of Buzz Tours, Nick Kokkoros of Barrel Restaurant, and Michelle Kloepfer of Titan Trailers. Sponsors of the event were Norfolk County, Millards, Venture Norfolk, BDC, MyFM, Simcoe Reformer, Libro Credit Union, TD, Westwood Trails, Fanshawe College, FirstOntario Credit Union, Mechanical Contractors Association Hamilton Niagara, G. Douglas Vallee, Ontario South Coast Wineries and Growers Association, Davids Restaurant, Norfolk Fruit Growers Association, Sunflower Films and Norfolk County Fair and Horse Show. Gift donors were Norfolk County, Ride the Bine, and Routes to Roots Film Festival.